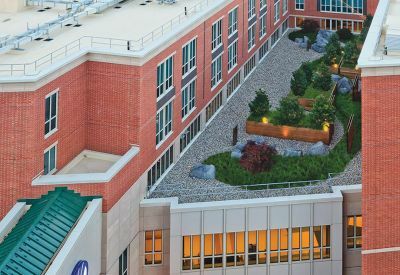 Challenge: To create and implement a landscape design plan for a newly constructed six-story building on the hospital’s campus. 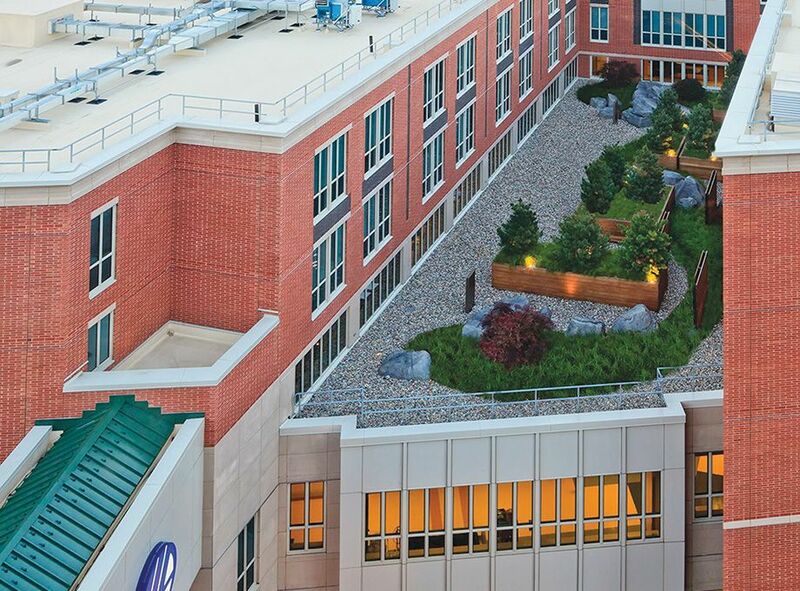 The design plan called for two rooftop gardens that would provide screening and privacy for patient rooms as well as provide a usable outdoor space for strolling and gathering. 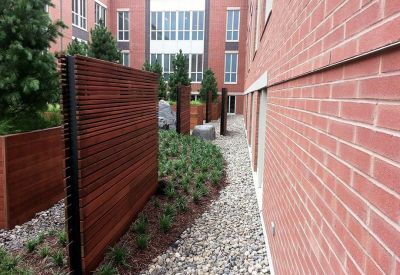 Results: The Pressley Associates design team created a viewing garden located adjacent to a heavily traveled south entrance that includes redwood privacy screens, evergreen tree plantings, and faux stone boulders integrated with loose river stone paving. 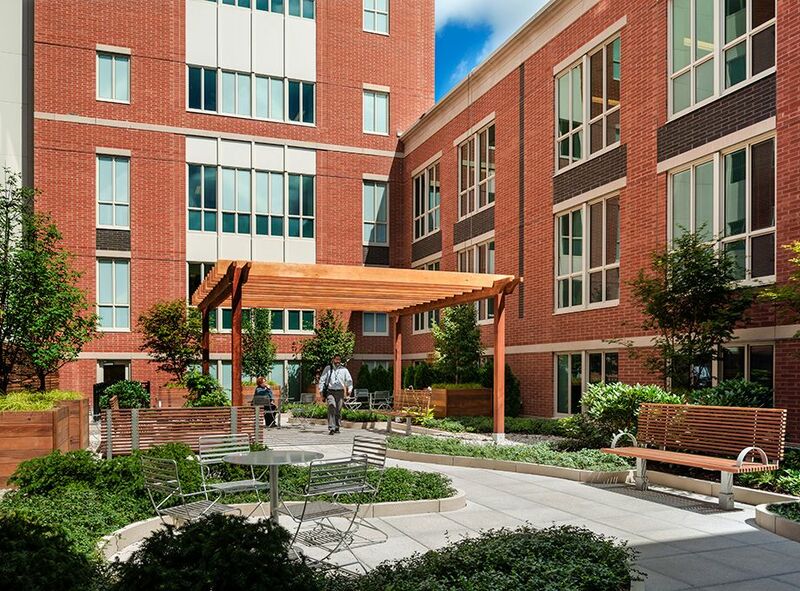 The color and texture of the interior flooring within the building adjacent to the all-glass façade extended into the garden to provide a strong visual transition from the interior to the exterior. 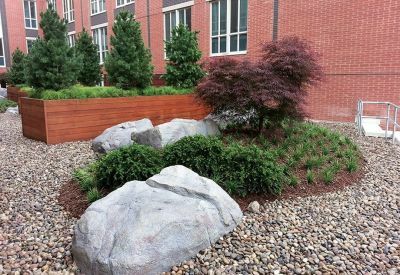 Careful attention was paid to plant material in the raised redwood planters to provide year-round seasonal interest and color. 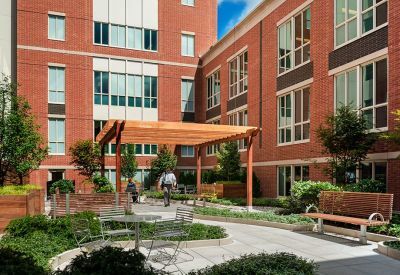 The north garden is a universally accessible strolling garden for use by the entire Hospital community, which includes a variety of seating options with a shade pergola. 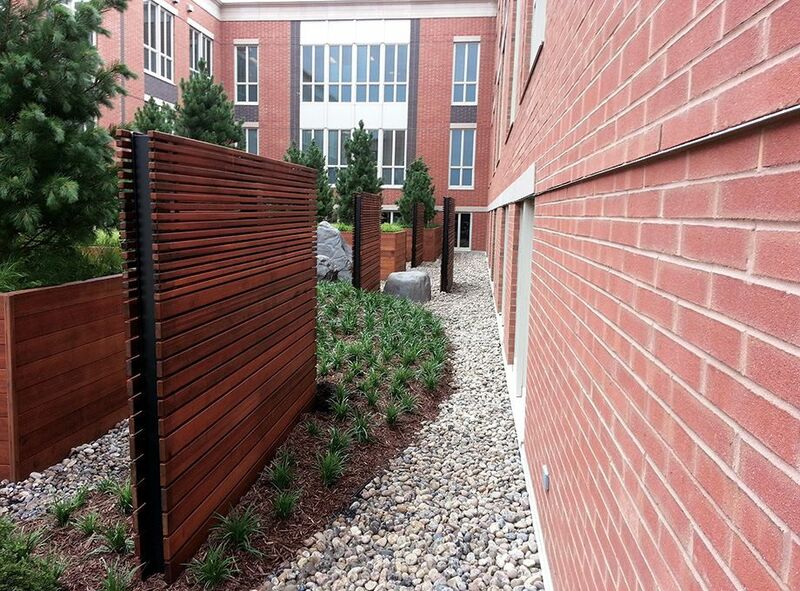 Throughout this garden, private, intimate seating spaces provide room for gathering relaxation and meditation. 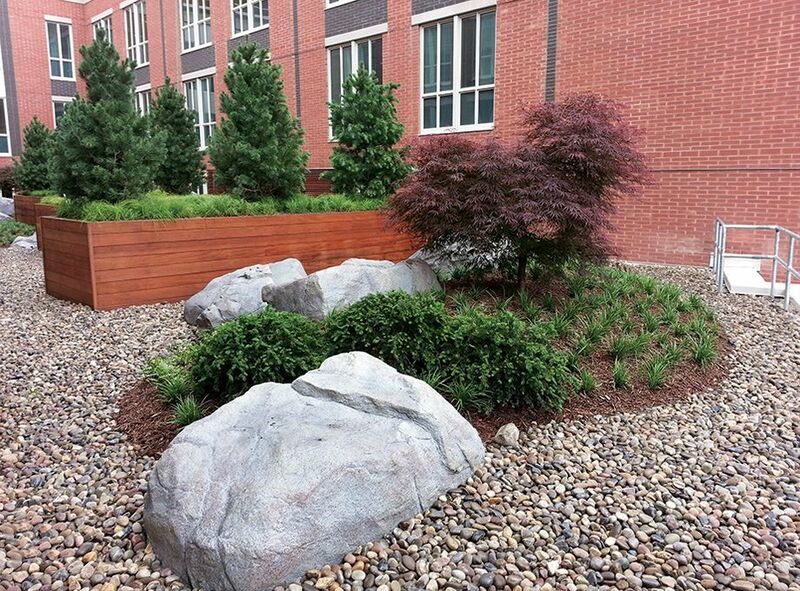 Deciduous shade trees in raised redwood planters with perennial planting below are located throughout the garden to refresh, renew and engage the human spirit.